For the longest time, I never even knew that gingerbread was something more than those decorated brown man-shaped cookies or a flavor used during the holiday season to spice up hot drinks and cocktails. It seems as if the denomination was reserved just for those desserts or dessert flavors. 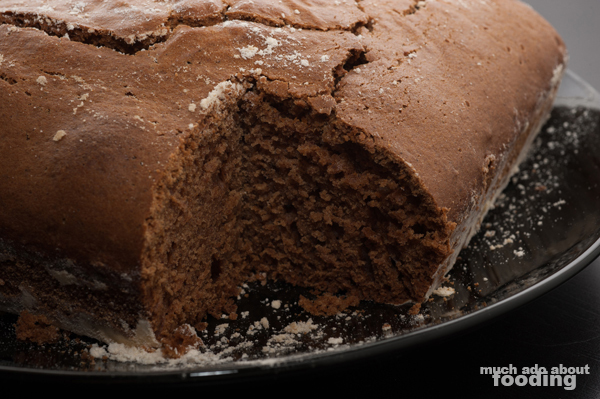 However, you can make it in cake form because ultimately, gingerbread just refers to a flavor of food. In England, calling something gingerbread would bring up the image of a cake form of the taste but here in the US, I have to make sure to say it's gingerbread cake so you don't think about the "Gingerbread Man" and his gingerbread holiday houses (typically hardened versions). So here's my recipe for that cake that uses less sugar than I've seen other recipes use. It will make a gingerbread that will tempt you way too easily if you leave it on your desk because of its strong aroma...trust me, I know. Preheat oven to 350°F. 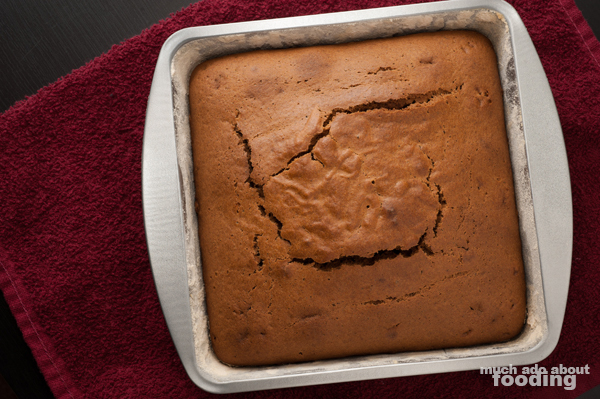 You'll want to oil up and then spread flour onto a square cake pan; I used a 7.5" one (it ended up being thick!) but you can go up to 9" on this. In one mixing bowl, cream together sugar and butter. Then add in egg. In another mixing bowl, sift together flour, baking soda, cinnamon, ginger, clove, and salt. 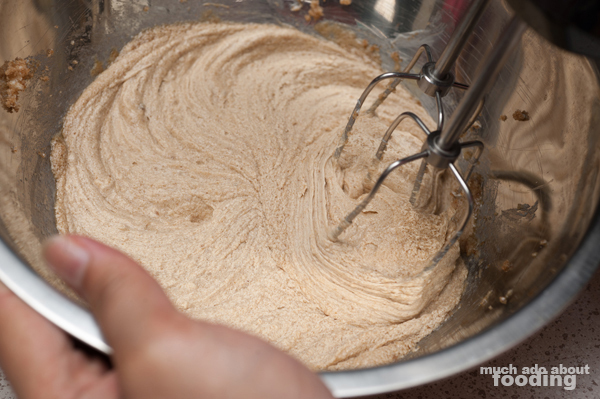 Mix dry with wet ingredients together slowly and well. Then pour in hot water, stirring constantly until an even batter forms. Pour into pan and bake for ~50 minutes or until an inserted toothpick through the center comes out clean. Cool and enjoy!